There aren’t enough marble shooter games for the iPhone and iPad, but fortunately we have Luxor 2 HD to make up for the quality, if not the quantity. Amid the proliferation of Zuma wannabes, this classic PC port stands on its own shiny merits. 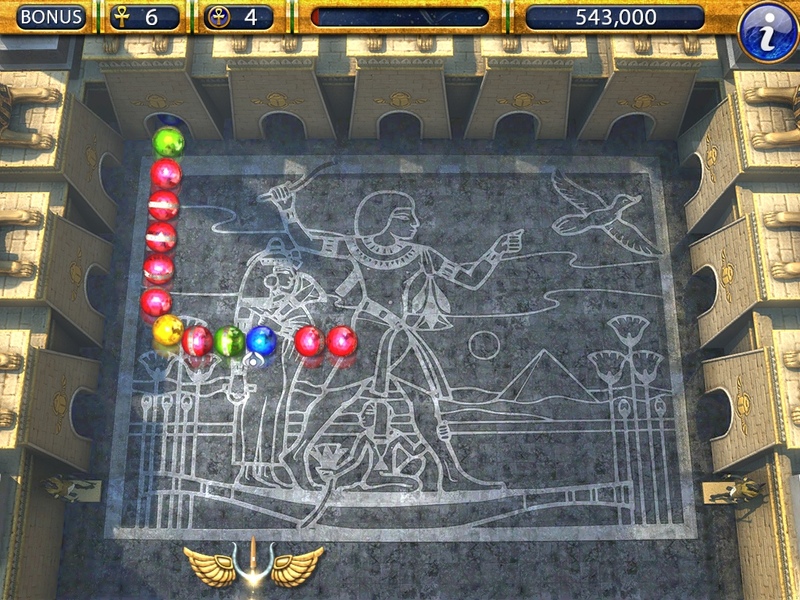 Luxor 2 HD is an action-oriented puzzle game where the objective is to shoot marbles into a long and growing chain of marbles to form matches of three-of-a-kind. To finish a level, you have to eliminate a certain number of marbles, indicated by the level bar. 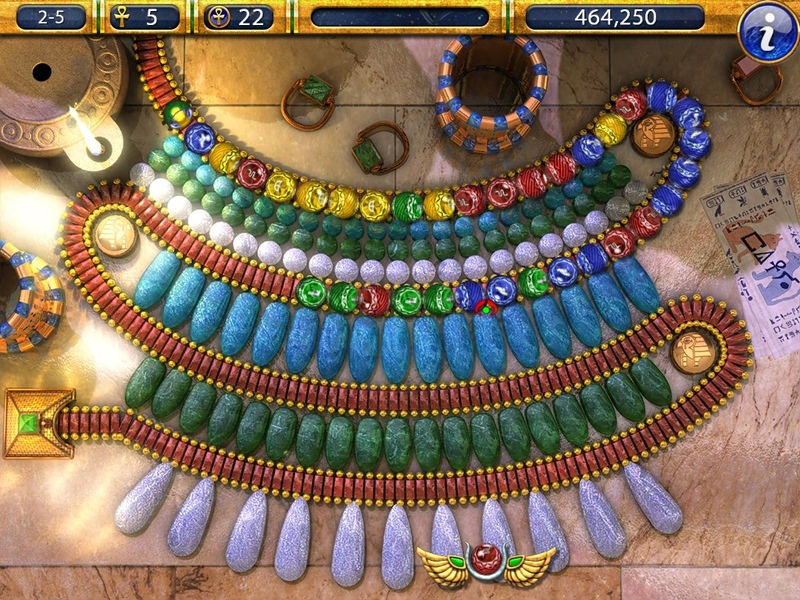 There are about five to six “waves” of marble chains, and in between a chance to earn coins and bonus points. Along the way you can score numerous combos for points and gain special temporary power-ups such as slowing down the chain, reversing it, or aids to make your shots accurate. Some of the power ups are simply awesome in terms of execution – my favorites are the color bombs and lightning bolts. At the end of each level, you are shown your statistics, containing fun and relevant information about your performance, such as accuracy. Apart from the story mode, you can also relax in practice mode (using maps you’ve already unlocked) or test your prowess in survival. Levels feel quite lengthy, and a shorter, timed mode would be a welcome addition. In addition, there are bonus levels to help you earn more points. The game, for one, is absolutely gorgeous. The locations are breathtaking and the attention to detail, to make each marble a thing of beauty is evident. The music is quite grandiose and pleasant to listen to. There are control schemes you can test out, and so far, the controls are fluid and intuitive to use. It feels, in fact, as though the game was specifically made for the touch screen and not a PC port. The gameplay itself feels quite relaxed (or maybe it’s because I am playing in easy mode). If you are looking for something relaxing, this might be your cup of tea. However, if you want something more frenetic and past-paced, you might not be able to appreciate it. 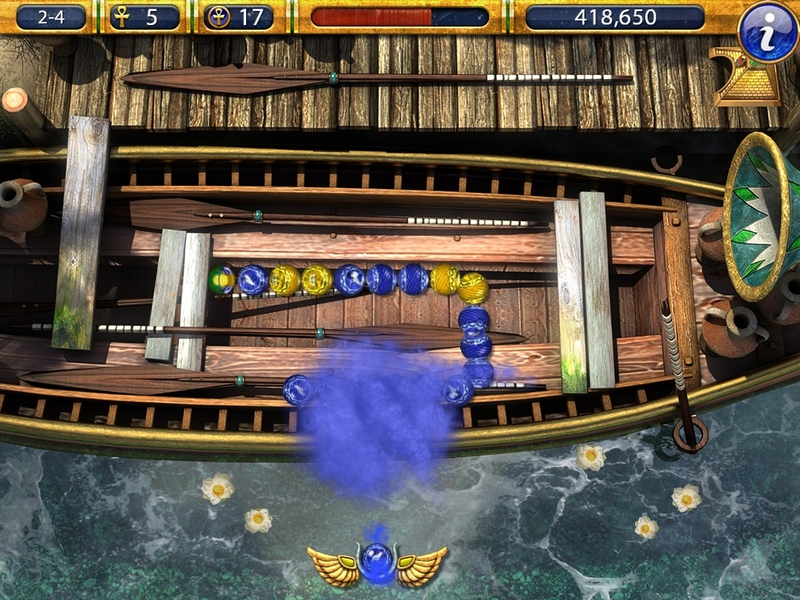 Those who hanker for a classic marble shooting game are recommended to pick up Luxor 2 HD. The price tag may be a tad intimidating but you do get a lot of content (88 levels!) and gorgeous visuals in this classic marble shooter – all in a universal build. Likewise, beginners to the marble shooter are encouraged to take Luxor 2 HD out for a spin.